A dire shortage of highly skilled engineers and ICT professionals is severely constraining the growth of South Africa’s high technology sector to the detriment of job creation and economic growth, says Pierre le Roux, group managing director of technology solutions provider, Moyo Business Advisory (MBA). 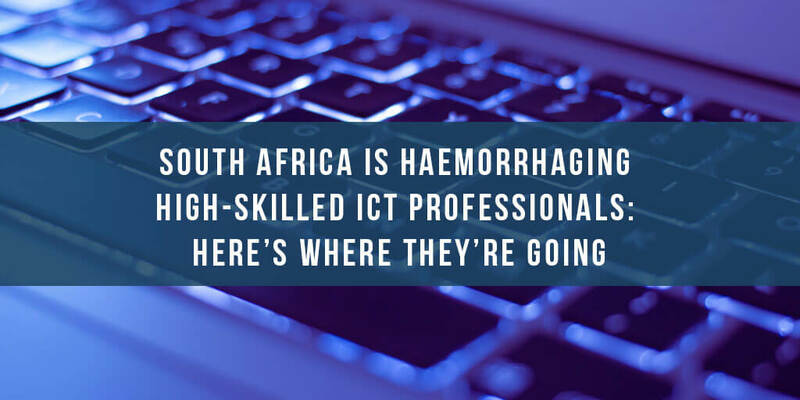 Le Roux said that technology solutions providers are increasingly getting squeezed by the fact that they are unable to source enough locals to grow their businesses. The fact that fewer than 60% of all rare skills visa applications for highly skilled foreigners are approved by the home affairs department further complicates the issue, he said. Many of these so-called foreigners were expatriates from elsewhere in Africa who had lived and studied in South Africa for many years. Le Roux said the haemorrhaging of high-skilled professionals who are choosing to leave South Africa for ‘greener pastures’ abroad is significantly adding to the problem. Le Roux added that, although accurate figures for where these chose to settle were not readily available, it was evident from staff losses incurred by his own company and from discussions with colleagues in the ICT sector that Australia was their first choice closely followed by the United Kingdom and the US. “The main points of attraction for local professionals is that in most cases their qualifications are fully recognised in these countries. Le Roux said a major bugbear for technology companies was the fact that it was extremely difficult and tedious to secure rare skills work visas for foreign nationals and even for non-residents who had graduated from South African universities. “It is an absolute fact that we have to pay the same salaries and provide the same benefits that these men and women would have received off-shore. This is great for the graduates but it puts additional strain on South African technology companies who are wholly reliant on these workers to maintain and grow their businesses. Le Roux said that it should be a national priority to keep young engineers, programmers, software architects, telecommunications professionals and artificial intelligence experts in South Africa to not only create wealth for themselves but to create jobs for millions of unemployed South Africans.